On his final day in office, the Obama administration pushed through an ammunition ban that prohibits the use of lead ammunition on Federal land. After effectively banning many types of non-lead ammunition for its armor-piercing properties, Obama finished the job by banning traditional ammunition use on Federal land as well. Unfortunately, a lot of this is going to take an Act of Congress in order to undo quickly. Send your FaxBlast to Congress and DEMAND that they undo all of Barack Obama's anti-ammunition executive orders! Over the last eight years, Barack Obama has done everything in his power to make it harder and harder for law-abiding Americans to purchase and use ammunition. First, the administration imposed new regulations on lead smelters, making it harder and more expensive for domestic ammunition manufacturers to source lead for their bullets. Next, Obama targeted commonly used surplus 5.45x39 and 5.56x45 ammunition and banned its importation and sale. 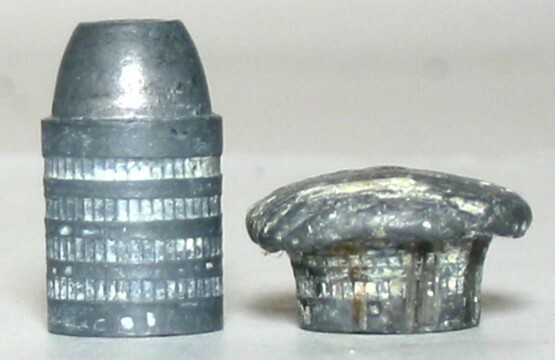 Even though these are rifle calibers, Obama's ATF reclassifiied them a pistol ammunition in order to ban them because of their "armor piercing" tendencies. Even though neither technically fit the definition of "armor piercing" that is set forth in the law, Obama moved forward with banning them anyway. Only after you and your colleagues got involved did the ATF back down on the M855 5.56 ban. Then, former-President Obama went after another ammunition component: nitrocellulose. This chemical compound is used to make gunpowder. Even though it is not volatile, the ATF tried to reclassify it as a volatile substance, which would have ground American ammunition manufacturing to a halt for months. Luckily, gun owners spoke out against this and forced the ATF to back down. Now, on his last day in office, President Obama finalized a ban on traditional lead ammunition usage on Federal lands. Considering that half the land in the western-most eleven states is owned by the Federal government, this ban is significant. These are just four of the many steps that Barack Obama took against American gun owners over the past eight years. No single man should have this power. It should not be up to a President Trump, or anyone else for that matter, to decide not to ban ammunition. I am writing to demand that you get behind legislation to undo these ammo bans. HR 1180 is just one of the many bills that would dismantle the anti-gun and anti-ammunition executive orders that Obama implemented while in office. Not only would these bills roll back what Obama did, but they would also prevent any future administration from targeting Americans' 2nd Amendment rights like this ever again. It's not enough to just reverse Obama's actions. You need to make sure no one can ever do this again!